How can you live forever? What does it take to create life? How can we find other universes? Will we ever talk to aliens? What do you need to build a brain? 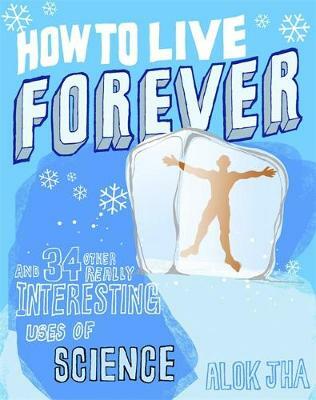 How to Live Forever is the essential survival guide for anyone who has ever been baffled by science. Embarking on a journey from the very small to the very big, readers will be taken on a glorious tour of the universe, taking in cloned sheep, alien worlds, bizarre life forms, quantum weirdness, parallel dimensions and dissected brains along the way. You'll discover how to travel through time, how to start (and cure) a plague, how the mind works, how to turn sunbeams into oak trees, how to boil a planet, how Harry Potter's cloak of invisibility works and much, much more. Both informative and enjoyable, this is a rip-roaring tour through the wonders of the natural world.